Open seasonally typically staring in May through August. 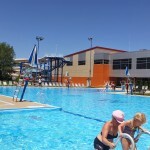 The Burbank Water Park is a local hot spot for cooling off in the summer. 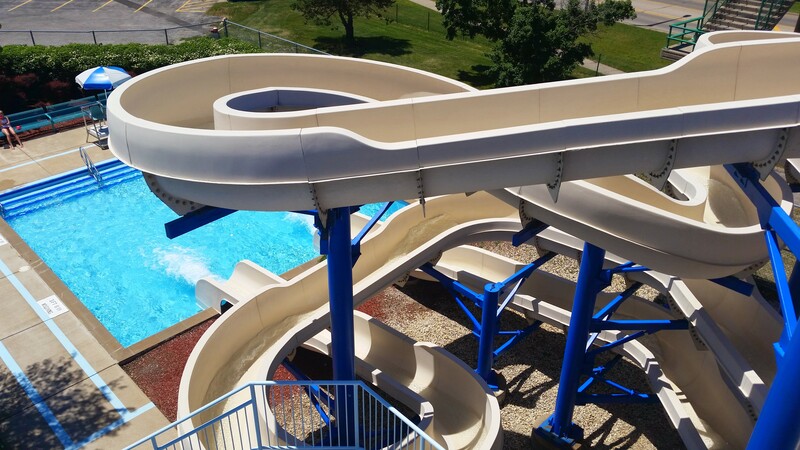 In operation, for over 40 years the water park has two water slides, two diving boards and a zero-depth two feet aquatic playground for children under 9 years of age. The Burbank Grill is the concession stand that has a large menu of hot eats and treats available as well as its own seating area. Food and beverages are not allowed out of the concession area. Food and beverages are available for purchase at the pool concession stand. 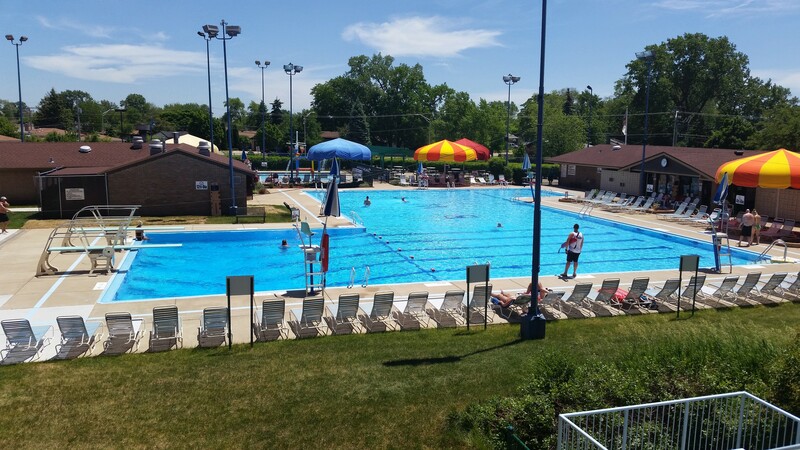 Strollers and buggies are considered hazardous and are not allowed on pool deck. Only plain white t-shirts may be worn in the water. Only swimsuits with liners are allowed in the pool. No cutoffs, basketball shorts, spandex, etc. 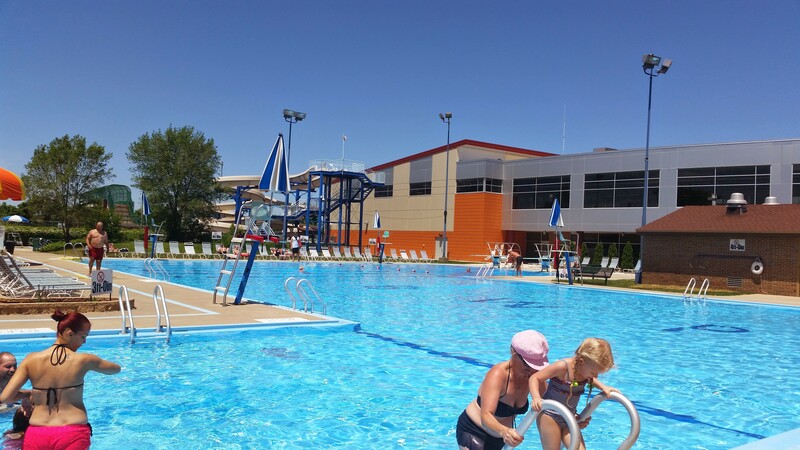 Street shoes and street clothes may not be worn on the pool deck. 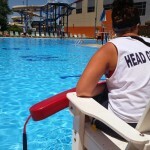 A person accompanying a family member may wear prescribed religious attire (excluding shoes or other footwear worn outside of the pool) on the pool deck, but such persons must stay at least 3 feet away from the pool and must stay in the area of the pool deck adjacent to water which is not deeper than 5 feet. 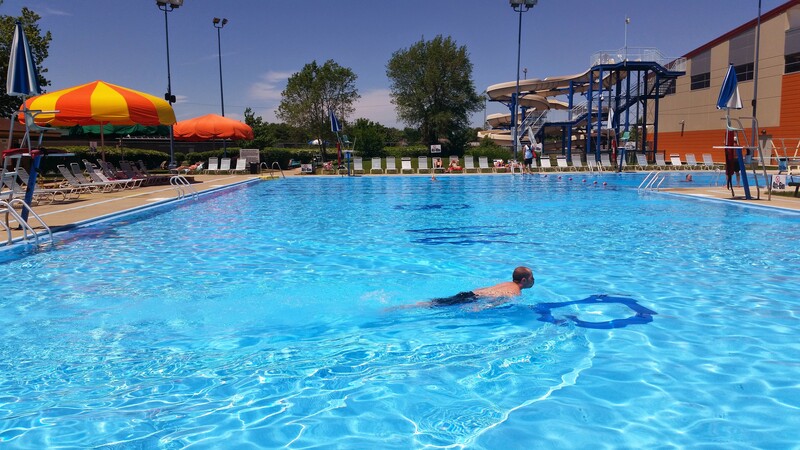 Only Coast Guard approved life jackets with an underbody strap are allowed in the pool in water no deeper than the wearer’s chest. An adult 18 years or older must accompany all children wearing a life vest at arm’s length. Personal locks left locked in pool locker rooms will be cut nightly. We are not responsible for lost or stolen items. 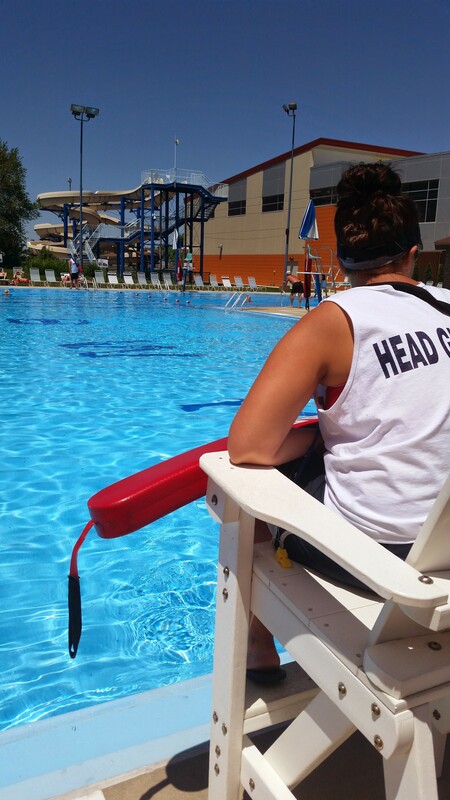 Strict discipline will be enforced in all areas of the pool complex. Failure to comply with the rules may result in suspension or termination of privileges, with no refund. 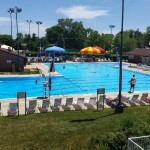 During adult swim everyone under the age of 18 will be asked to clear the pool and stay at least 6 ft. from the water. 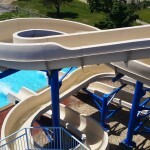 You must be 42” or taller to go down the waterslides and no eyeglasses are allowed down the waterslides. 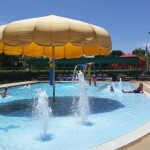 No children over the age of 9 are allowed in the aquatic playground. All children wearing diapers must wear rubber pants. No masks, fins, toys or balls, etc. are allowed in any of the pools. All children under the age of 10 must be accompanied by an adult, 18 and over, at arm’s length. 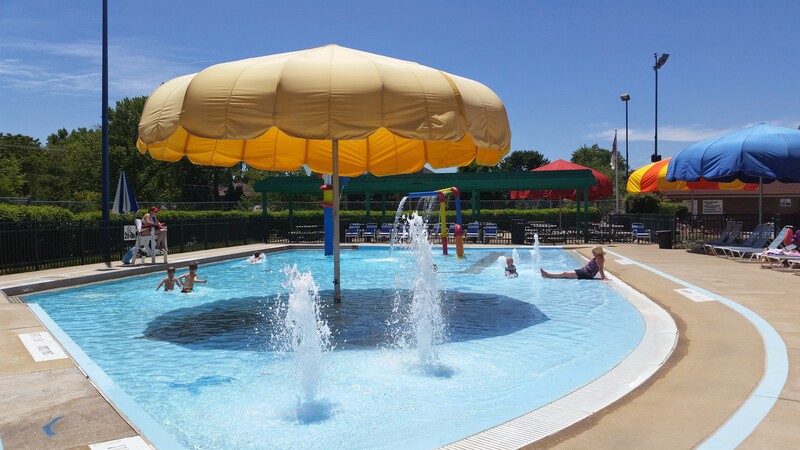 Pool regulations are established for everyone’s safety. Additional rules may be added at any time for your protection. There are less than 20 people present. The temperature is 70 degrees or below. A situation arises that would jeopardize the public health or safety of people in attendance. There are Park District scheduled events. Our fitness center is open Saturdays until 7pm, but the facility is open for rentals until 12 am.